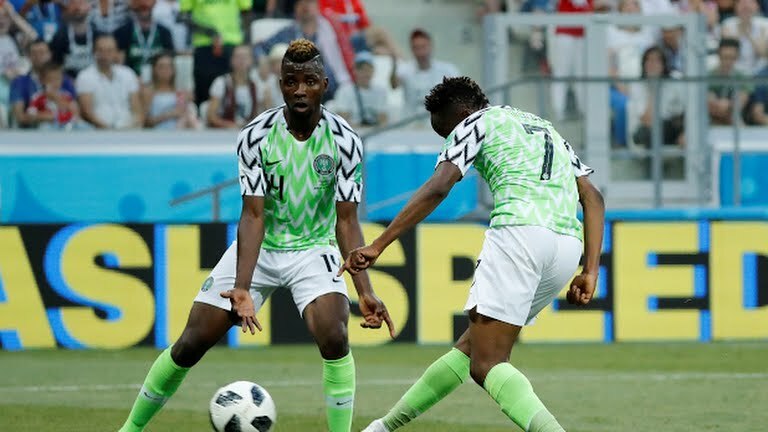 President Muhammadu Buhari has congratulated the Super Eagles on their 2-0 victory Friday over the national team of Iceland in their second match at the 2018 FIFA World Cup. The President expressed delight at the confidence, discipline, teamwork and indomitable spirit displayed by the young Nigerian players. "I am confident that if our players believe in themselves, they can qualify from their difficult group and even go very far in the tournament," President said, according to Media Adviser, Femi Adesina. "With determination, nothing is impossible," Buhari added.